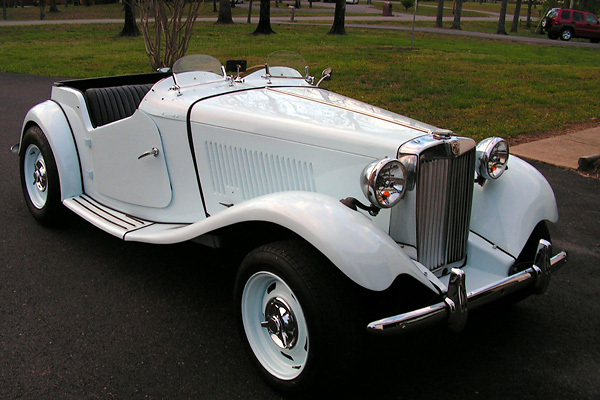 Dave Plumley's 1953 MG TD with Chevrolet Corvette 350 V8 and rear suspension. 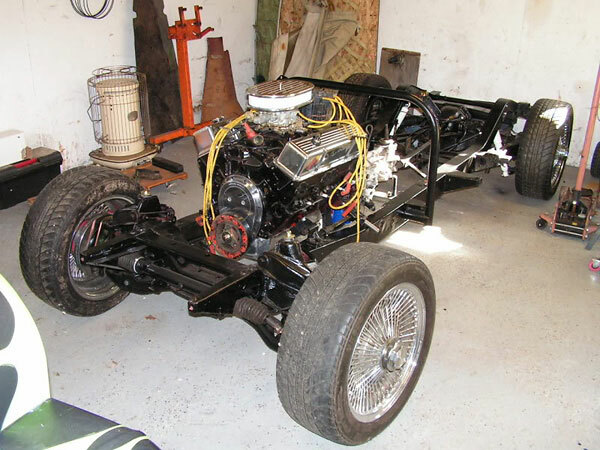 Engine: 1974 Corvette 350, with only minor modifications. Holley carburetor. Delco-Remy HEI distributor. Cooling: custom large core aluminum radiator by Brice Thomas Radiator. Electric fan. 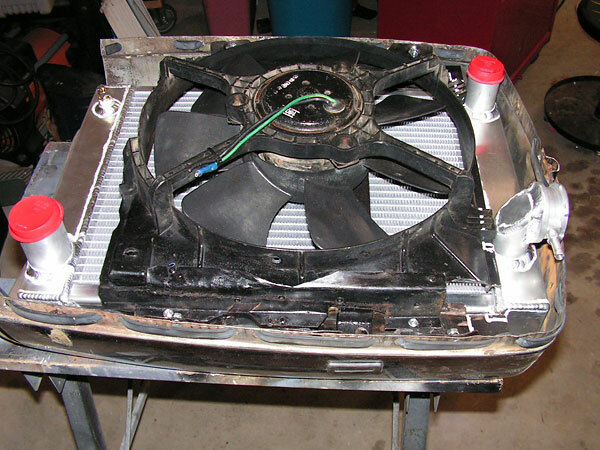 Engine oil cooler. Exhaust: homemade headers into 2 1/2" pipes with round turbo mufflers. Transmission: Borg Warner T5 five speed (from a 1985 Camaro.) Chevy Astro van 11" clutch. Jeep clutch pedal and master cylinder. Nissan slave cylinder. Front Susp. 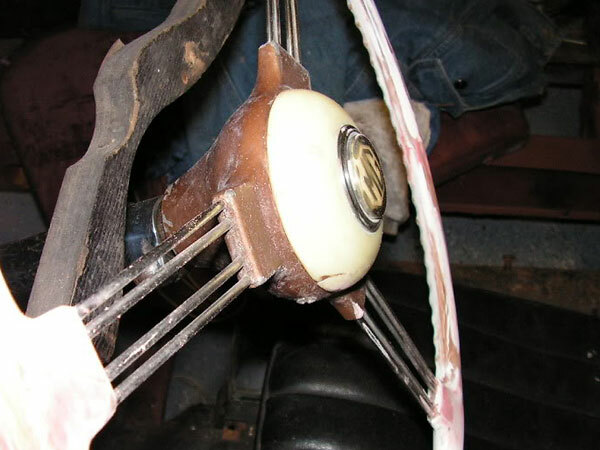 : 1965 Corvair suspension, narrowed. 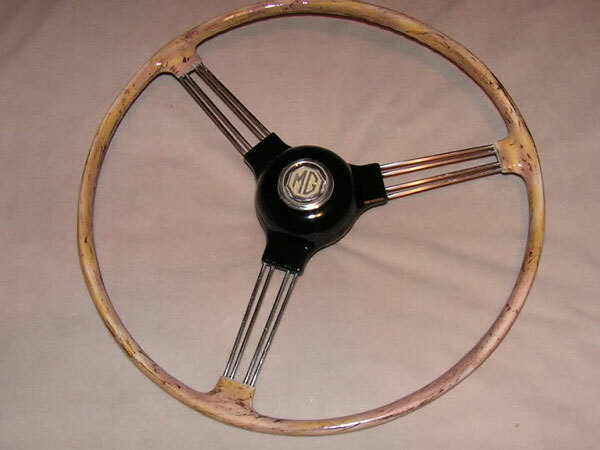 MG rack & pinion, steering column and steering wheel. Rear Susp. 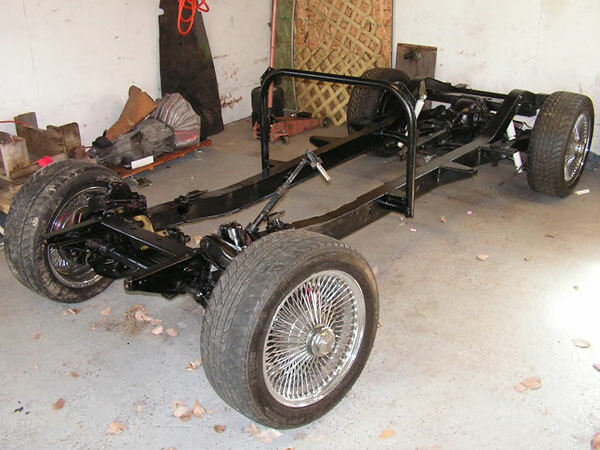 : 1964 Corvette suspension, narrowed. 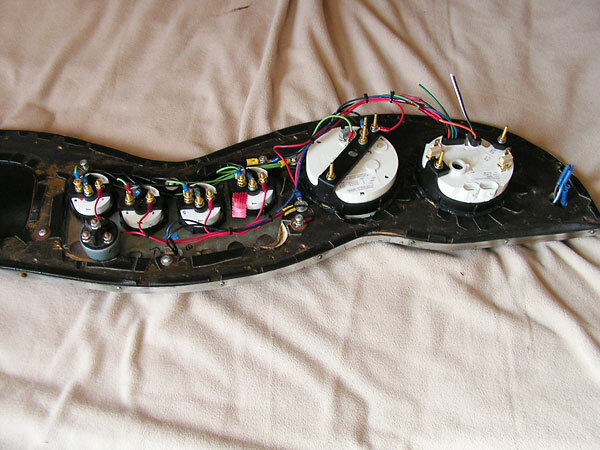 Composite monoleaf spring. 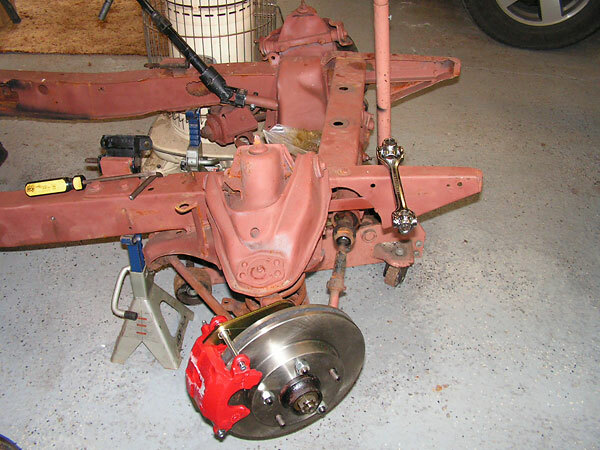 Brakes: (master) Jeep Cherokee cylinder and pedal assembly. 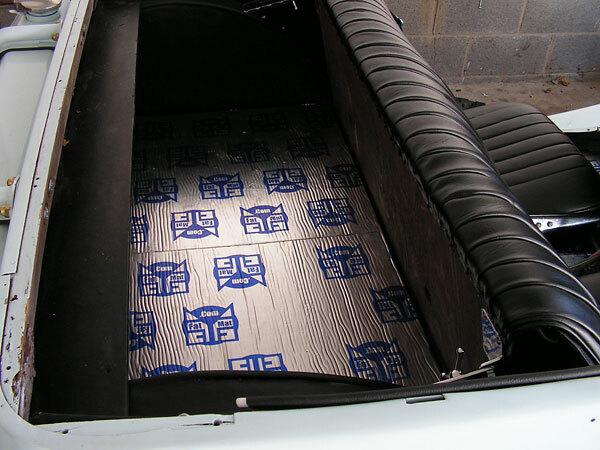 Stock MG pedal pads. (front) Corvair, with Scarebird conversion to Chevy S10 disc brakes. (rear) stock 1964 Corvette drum brakes. Wheels/Tires: Chevy 15x7 Rally wheels, with three winged spinners added for looks. 195/60 front & 225/60 rear tires. 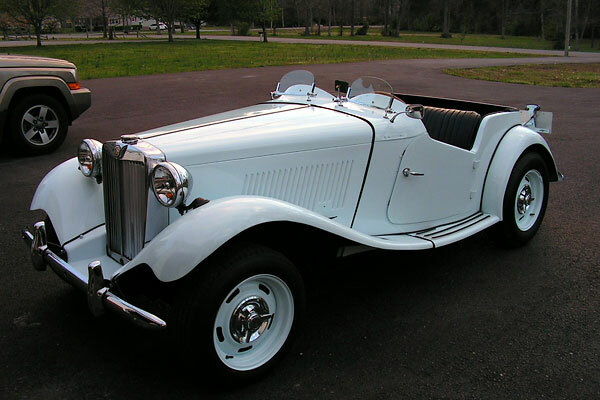 Instruments: TPI gauges speedometer (0-140mph), tachometer (0-8000rpm), oil pressure (0-100psi), coolant temperature (100-250F), voltmeter (10-16V), and fuel level guages. 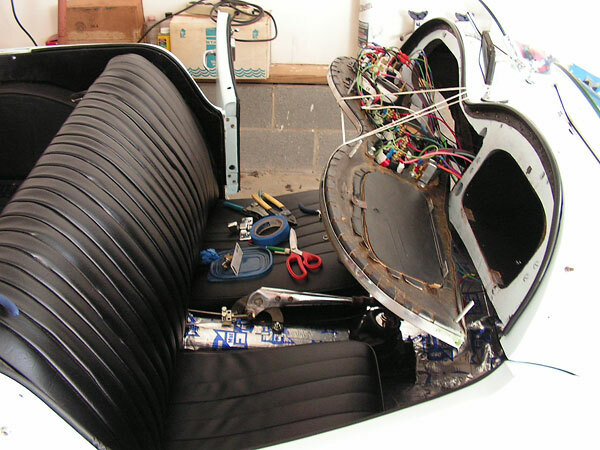 Interior: stock seats and trim panels recovered by Capabilities Inc. of Elmira NY. 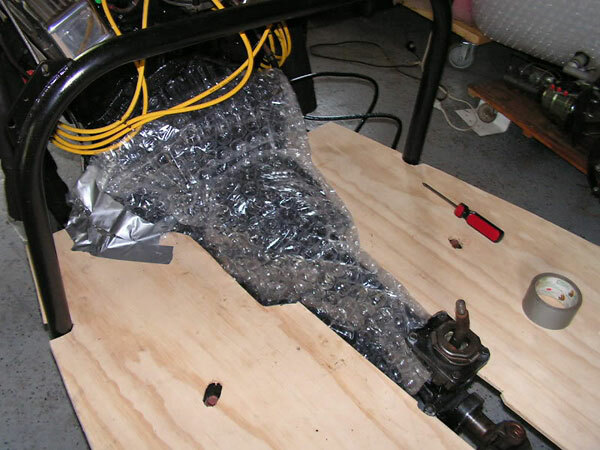 Fatmat sound deadener. Lowes carpet. Steering wheel redone by owner. 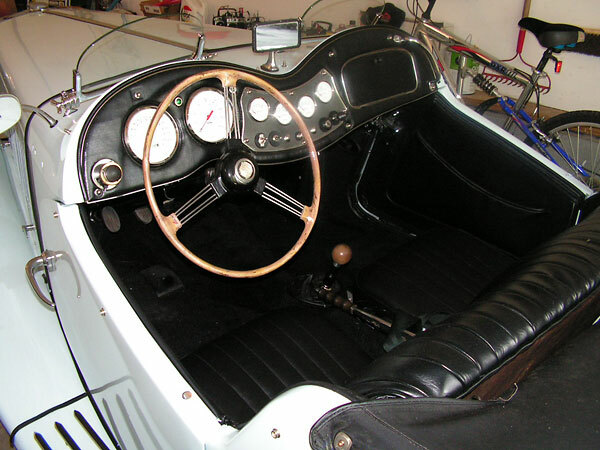 MG pads on brake and clutch pedals. Vintage aircraft seat-belts. Completed: May 2011. 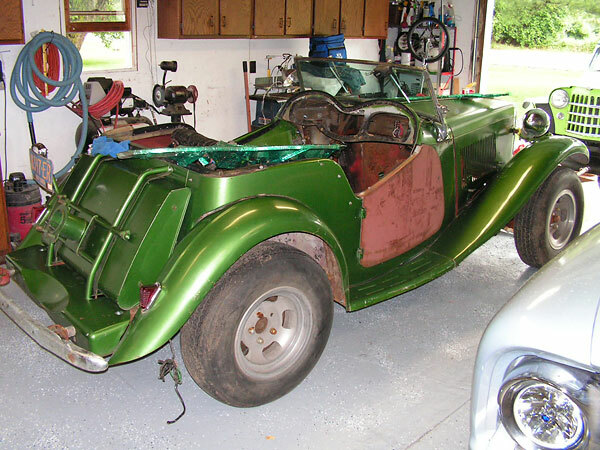 The rebuild has about 500 miles on it, as of the end of June. 1974 Corvette 350, with only minor modifications. 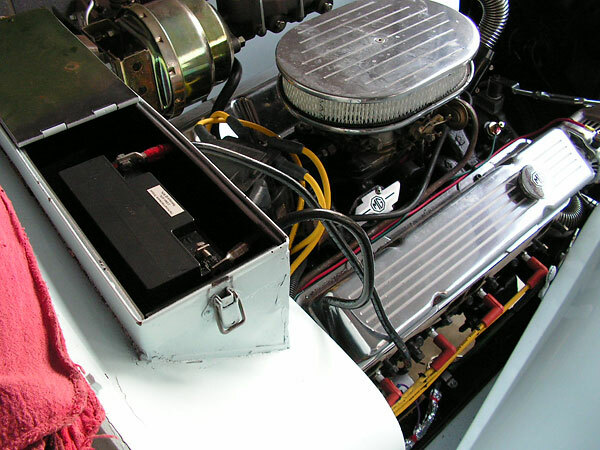 7" x 6 3/4" x 3 3/4" gel cell battery, mounted in the original tool box. 1968 through sometime in 1971 when the engine blew up. 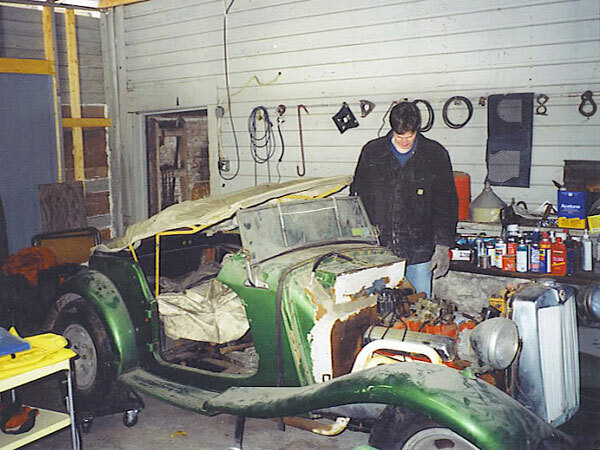 It sat derelict in a garage for ~35 years. condition shown here. 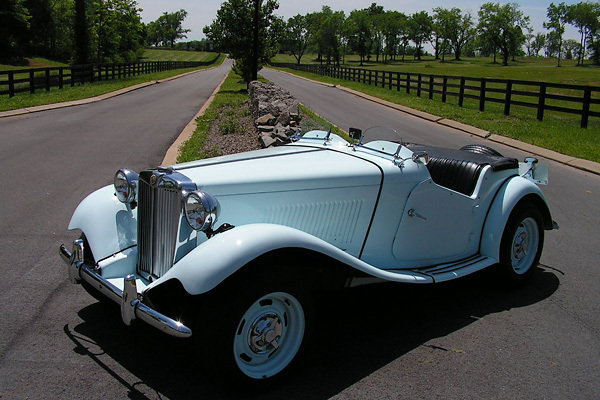 The MG was trailered to his home in south central New York, near Watkins Glen. 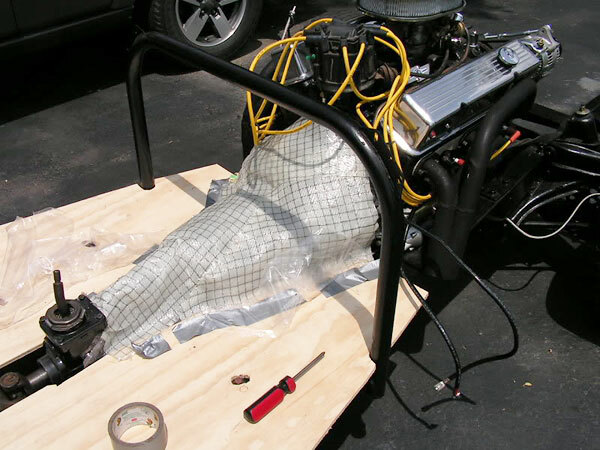 times before it and a T5 transmission were bolted down. Trying out spoke wheels. They leaked at the spokes, and were discarded becaue they're too expensive to repair. vented rotors. 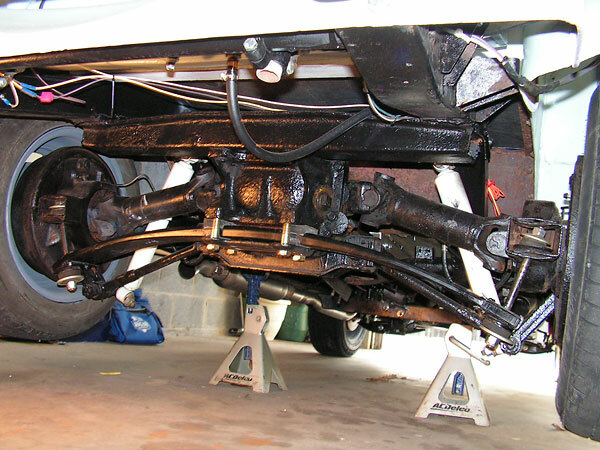 New shocks and a steering shaft with a rubber isolation joint were installed. 1964 Chevy Corvette differential housing. 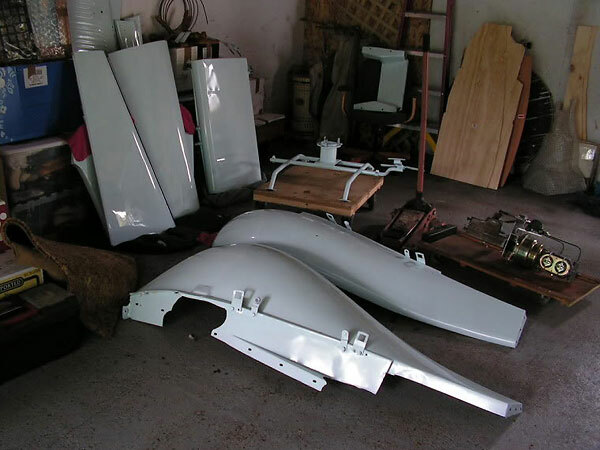 The whole chassis was painted with POR 15 chassis paint. POR stands for paint over rust. It's a tenacious and durable water-cured urethane paint. 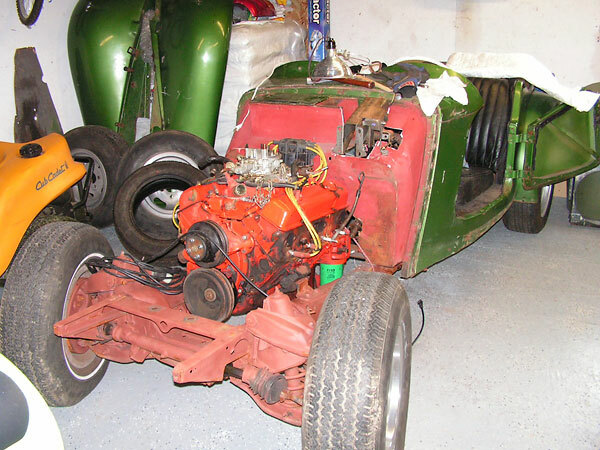 Mating the 1974 Chevrolet 350cid V8 engine to the MG TD frame. Custom large core aluminum radiator by Brice Thomas Radiator. Electric fan. 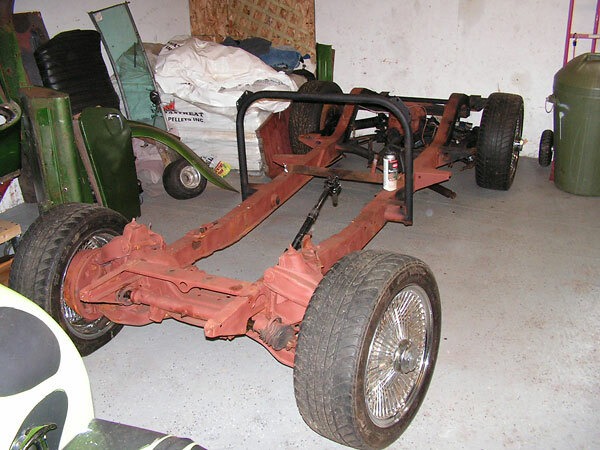 Installing the MG TD's body onto its chassis. Next to install: MG TD wings and butterfly hood. 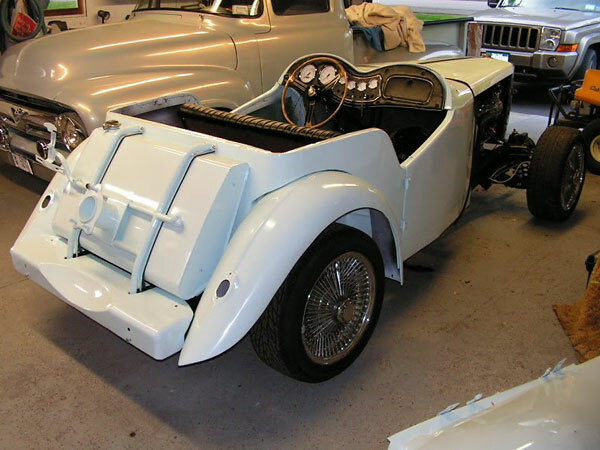 MG TD fuel tank and spare tire carrier. 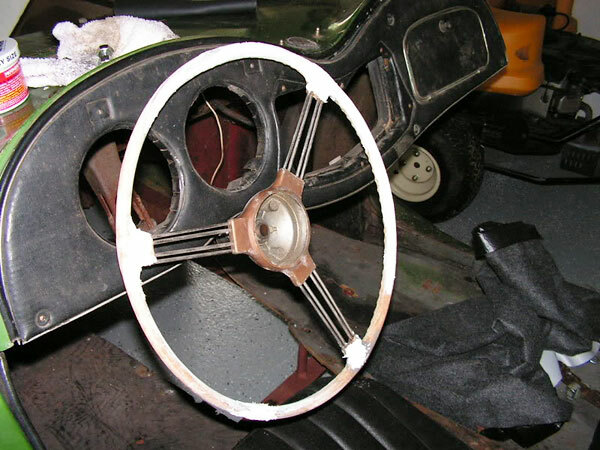 The original steering wheel was a mess, with very little plastic left after fifty seven years. Dave decided to restore it, bwith PC7 paste epoxy. proved to the most useful sanding and shaping tools. Dave did some woodgrain-style airbrush work, then clear-coated the steering wheel. 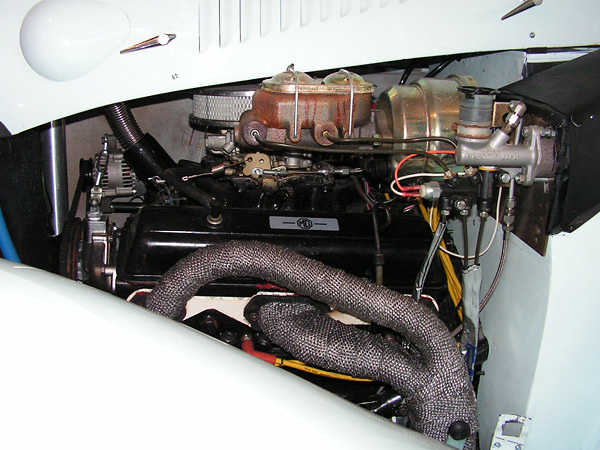 pressure (0-100psi), coolant temperature (100-250F), voltmeter (10-16V), and fuel level guages. about 3/4" clearance, then formed HyperFiber over and down to the plywood floorboards. Dave rolled the molded cover out into the sun, and ten minutes later the resin was cured. Hyper Fiber is a little pricey, but it's clean to work with and wastage is low. 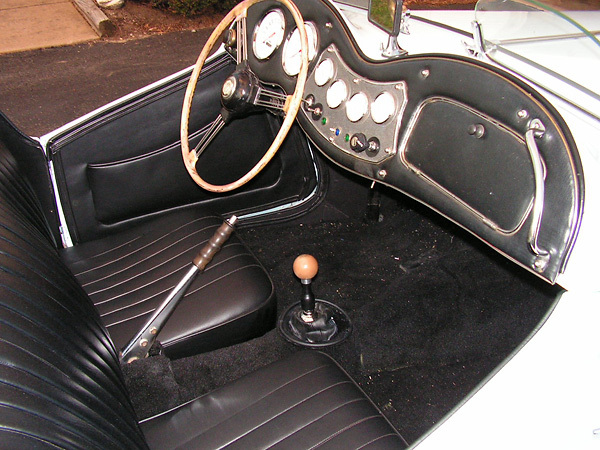 Dave had to shorten the clutch throw-out lever to suit the MG TD's narrow frame. perpendicular to the bore for easy mounting, and they're readily available for $15. 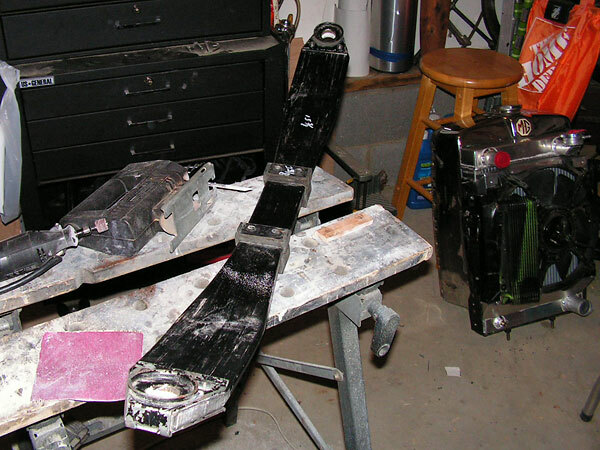 He made a bracket from heavy angle iron to use two bellhousing bolts for installation. 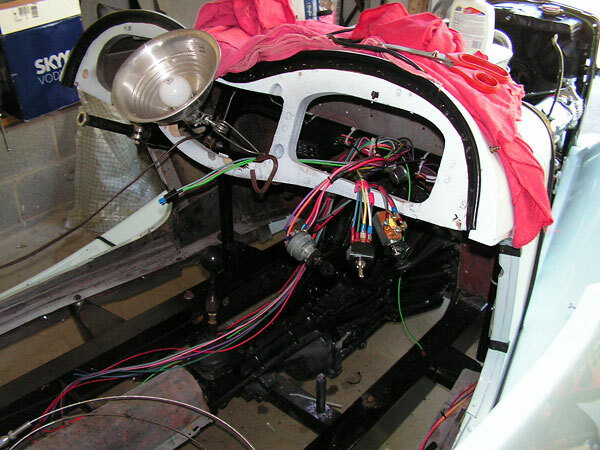 Installation of the EZ Wire wiring harness. 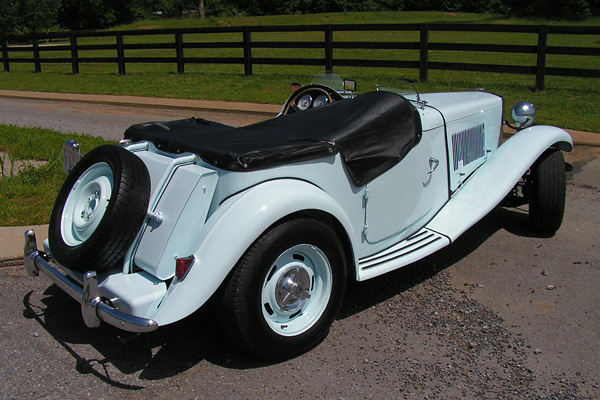 suit the MG TD's narrowed rear suspension. 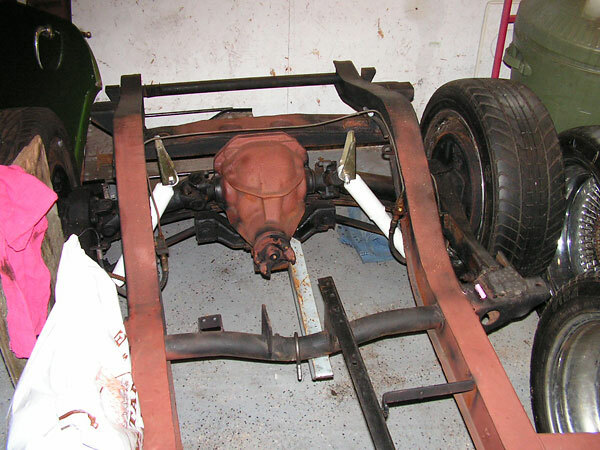 Narrowed 1964 Corvette suspension, updated with a composite leafspring. 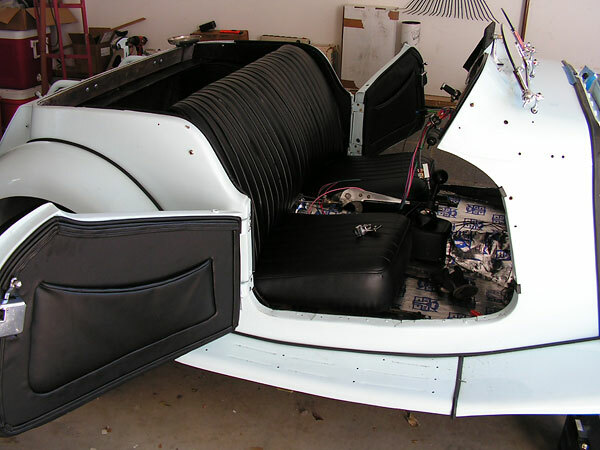 Stock seats and trim panels were recovered by Capabilities Inc. of Elmira NY. The dashboard covering is, however, original. 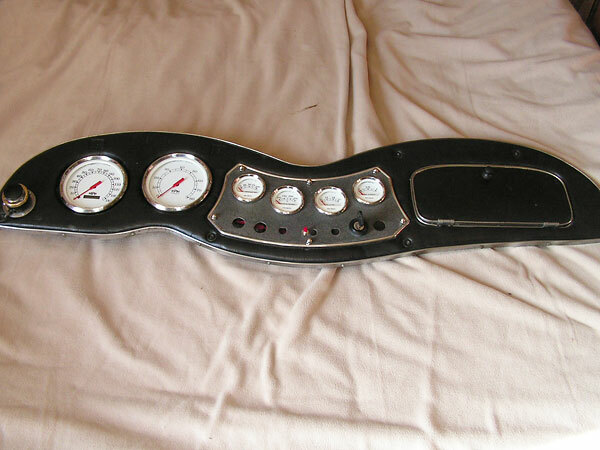 A set of new TPI gauges has been installed. 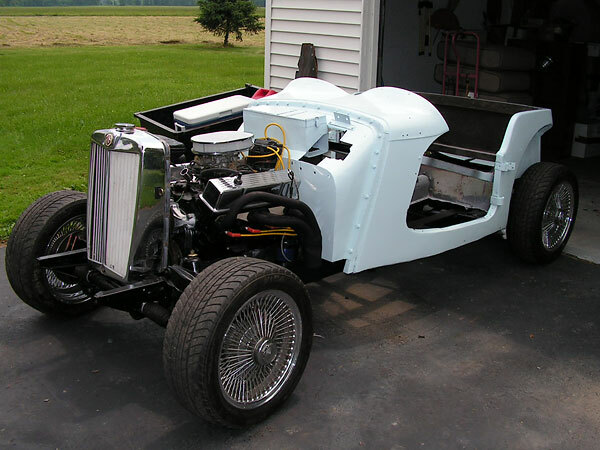 Final cosmetic body work and custom blue PPG paint by Fenders & Flames of Corning NY. New headlights, with integral turn signals. Chevy 15x7 Rally wheels, with three winged spinners added for looks.